I know that you have many things on your mind, so thankfully I am alleviating the stress caused by your top priority: indeed, Scott Disick’s Instagram account is now #fail-free. 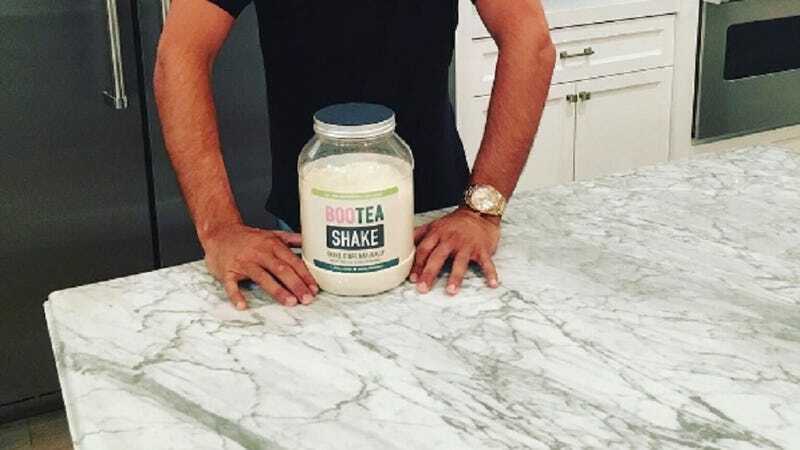 Yes, I know that we were all sweating bullets—bullets, I tell you!—about whether or not an earlier Instagram post about the protein shake Boo Tea UK, which appeared on Disick’s account on Thursday morning, would be replaced. But don’t you worry: the caption of the initial (and now-deleted) ‘gram, which contained an accidentally copied-and-pasted memo to either Disick or an assistant, has been revised. Oh thank heavens. Here you go, at 4pm est, write the below. Caption: Keeping up with the summer workout routine with my morning@booteauk protein shake! But now, thankfully, all is as it should be. Now breathe in, breathe out, and repeat this: we are all okay.